Everyone knows the best defense is a good offense. That’s why if you want to leave your carpets looking better for longer, they need to be able to fight back against stains. If you want to keep your carpets looking great for a long time, you need quality fabric protection. Store purchased fabric protectors only work against minor stains. But tougher stain-causing substances can still push through, staining your carpets or even leaving behind odor. If you want the best in total fabric protection, you need Carpet Cleaning North Bay. When you have us protect your fabrics, you’re getting quality defense against all stains. Our fabric protection is perfect for those with small children, pets, or carpets and rugs that just seem to stay stained all the time. Stop wasting your time and money on fabric protection products that don’t work. Call our team of professionals today. No matter where your stains keep appearing, we can make sure they don’t come back for a long time. Many carpet cleaning companies here on the coast only worry about the superficial stains you have. They aren’t interested in preventing future stains so that you can call them again and again. We are proud to service our community with the best quality service possible. We want your home looking as great as it can, and that’s why we want to help fight your future stains from happening. We are more than just carpet cleaning great rates and service. 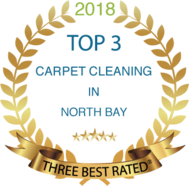 We strive to be your total carpet cleaning solution. 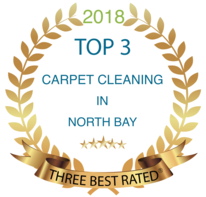 By going beyond basic carpet cleaning and spot treatment, we’ve become the most trusted name in North Bay, Ontario, carpet cleaning. We’re dedicated to giving our customers exactly what they need for less. Like all of the cleaners that we use, the fabric protector applied by our carpet cleaning professionals won’t stain or discolor your carpeted surfaces. You can protect your carpets and rugs with confidence knowing that we apply fabric protection with care. We feel harmful fabric protectors that bleach and discolor defeat the purpose, and we only use safe, non-toxic chemicals for your fabric protection. We use only the best quality cleaners to give you the best service that won’t harm your family or your carpets. Whether you have a home full of messy eaters or pets who like to cause stains, we can help your home look and smell fresh. With the best in local fabric protection, you never have to worry about stains again. Call us today to remove your tough stains, and then have the best in local fabric protection to keep them from coming back.